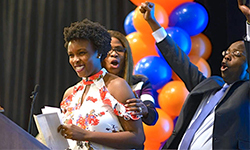 More graduating medical school students, when compared with last year, have learned that the University of Florida College of Medicine – Jacksonville will be the next stop along their medical education and training journey. UF COMJ will welcome 93 new resident physicians to campus, an increase of six from 2017. The incoming trainees will span across 12 different residency programs. The internal medicine program had the most positions offered and filled this year, with 20, followed by emergency medicine with 16 and pediatrics with 13. 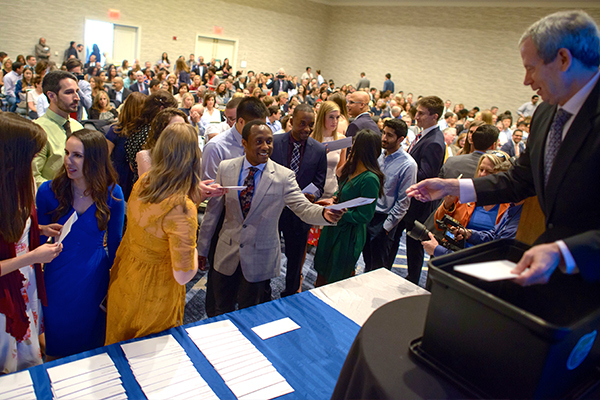 The news came Friday, March 16, as part of the annual Match Day, when graduating medical students throughout the country and abroad find out where they will complete their medical training. Most of them will begin their programs July 1. Thirteen of these future UF COMJ residents are advanced matches and will start in July 2019. They will train in either anesthesiology, neurology, diagnostic radiology or integrated interventional radiology. Twenty-six students will come from medical schools in Florida, with three being from UF. The rest will come from outside the Sunshine State. Two incoming trainees are active duty military personnel, one who matched with the emergency medicine program and the other with anesthesiology. “Our institution is pleased to partner with our military medical community in this way,” said Linda Edwards, MD, senior associate dean for educational affairs at UF COMJ. Of the 93 residents, 87 of them were chosen during the main match. One was filled through the Supplemental Offer and Acceptance Program. The other five — four oral and maxillofacial surgery residents and another resident with prior training — didn’t have to go through the match process. There will also be 33 incoming fellows representing 17 different accredited UF COMJ fellowship programs, along with two additional fellows in the head and neck oncologic surgery and microvascular fellowship program. Twenty-three of these training slots were filled earlier this year as part of the multispecialty match process. Three dentists matched with the six-year OMFS residency program in January through the dental match program. 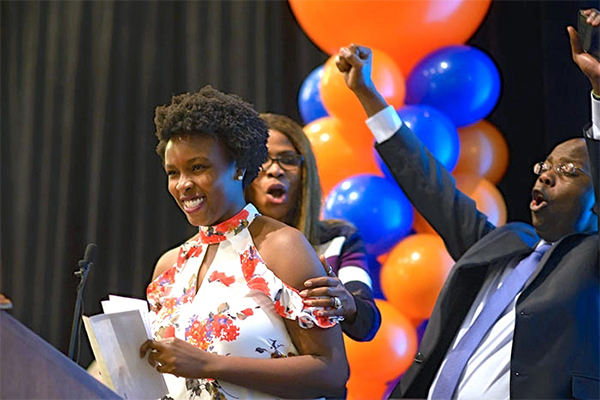 They will attend medical school at UF in Gainesville during their second, third and fourth years to earn their doctor of medicine. 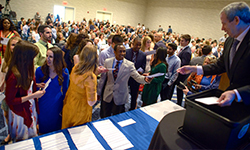 Graduating medical students celebrate during Match Day, when they found out where they will complete their residencies. UF COMJ will welcome nearly 100 new resident physicians to campus. UF medical students learn of their future training destinations during Match Day on Friday, March 16.